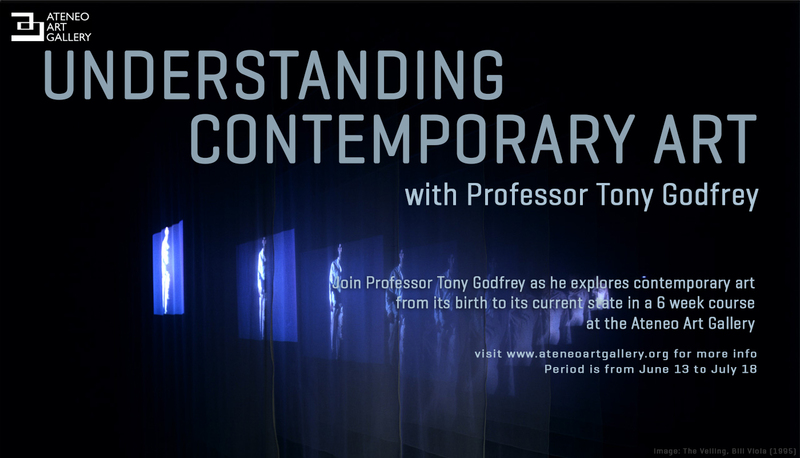 Join Professor Tony Godfrey as he explores contemporary art from its birth to its current state in a 6 week course at the Ateneo Art Gallery from June 13 – July 18. Through lectures and discussions discover the different movements that have emerged since the 1960s, the artists that have defined these movements and the different art forms that are currently seen in exhibitions, art fairs and biennials. Course dates : Lectures every Saturday from June 13 – July 18, 2015, 10 am – 5 pm. June 13 : What was wrong with Modernism? Why did contemporary art happen? Piet Mondrian, Jackson Pollock, Jasper Johns. Lecture on The birth of the Contemporary: Pop, Minimal and Conceptual Art: Andy Warhol, Donald Judd, Joseph Beuys, On Kawara. July 11 : Installation art : Christian Boltanski, Ann Amilton, Ilya Kabakov What is different about Filipino Contempoary Art? July 18 : Can painting be contemporary? Marlene Dumas, Luc Tuymans, Liu Xiaodong Who are the important artists for today and tomorrow? Course fee : P12,000 The course includes gallery visits and discussions. His 1998 book Conceptual Art was the first book to see Conceptual Art as a global phenomenon. It has remained in print and been translated into five languages. His most recent book Painting Today (Phaidon, 2009) attempts likewise to see painting as a worldwide phenomenon. It has been reprinted and translated into three languages. 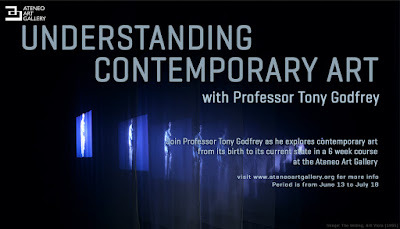 Tony Godfrey’s other books include Drawing Today (1991) and Contemporary Photography in Asia (2013). For more information on the course, you may email Ria Talamayan-Aguilar at rtalamayan@ateneo.edu or call the Ateneo Art Gallery at 4266488. Slots are limited.